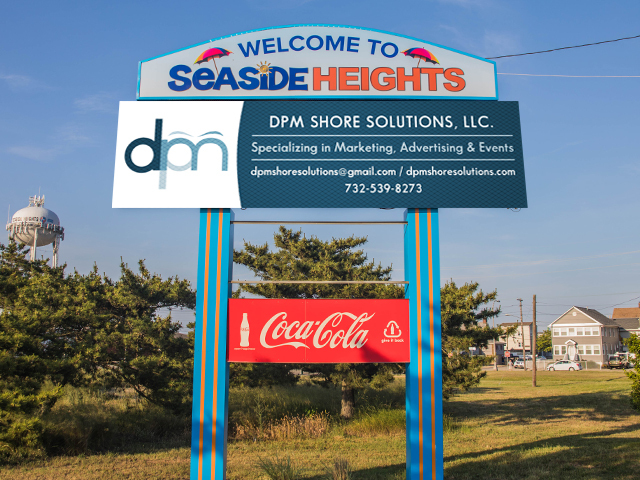 DPM Shore Solutions, LLC offers unique advertising in the busy Shore Town of Seaside Heights, NJ. Seaside Heights is a borough in Ocean County, New Jersey, situated on the Barnegat Peninsula. 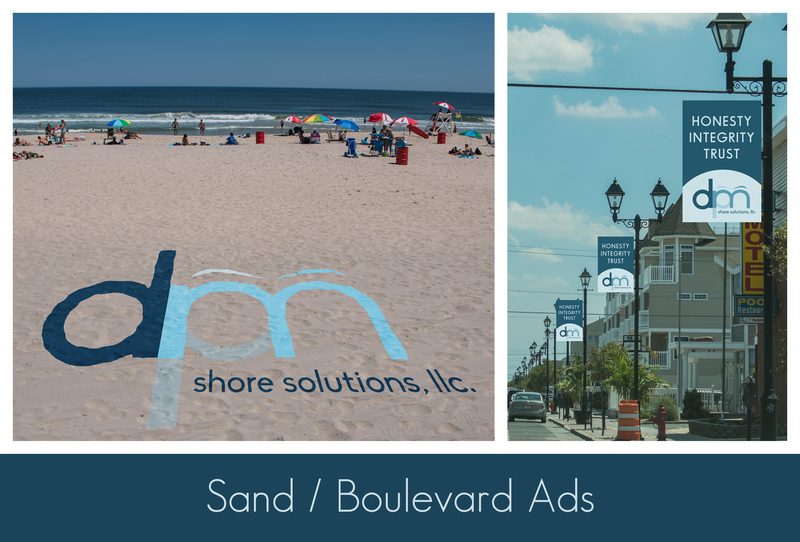 During the summer, the borough attracts millions of visitors, both locals and vacationers drawn to a community with a large boardwalk, entertainment, food and a sizable number of motels and home rentals. Known as the Classic American Boardwalk, the beach season runs from March to October, with the peak months being May through September, when the summer population explodes to millions. Rt. 37 is typically gridlocked on a Friday afternoon in the summer months as vacationers travel to the barrier islands. Seaside Heights is back stronger than ever for the 2017 season, with the introduction of a brand new roller coaster named Hydrus, a new ferris wheel, upgraded water park and new restaurants and boardwalk amusements. 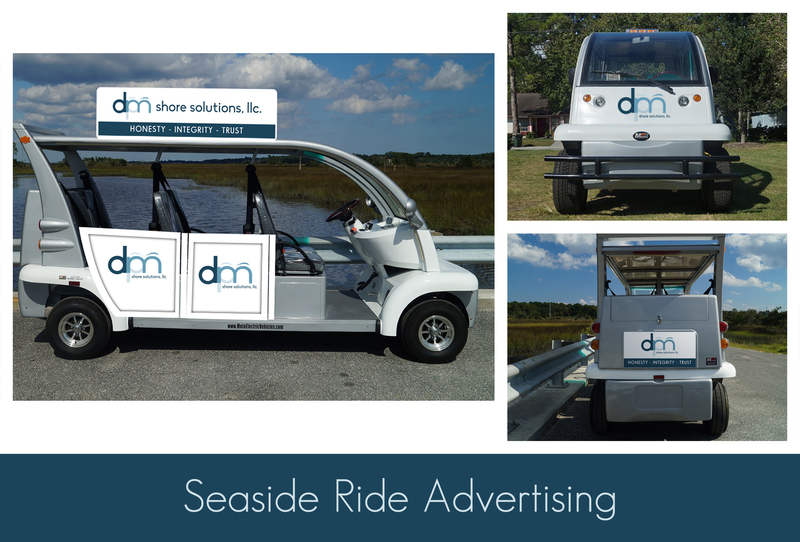 Advertising revenue will allow the Seaside BID (Business Improvement District which is a non-profit) to reinvest the monies into the community and create events to bring even more visitors to town. 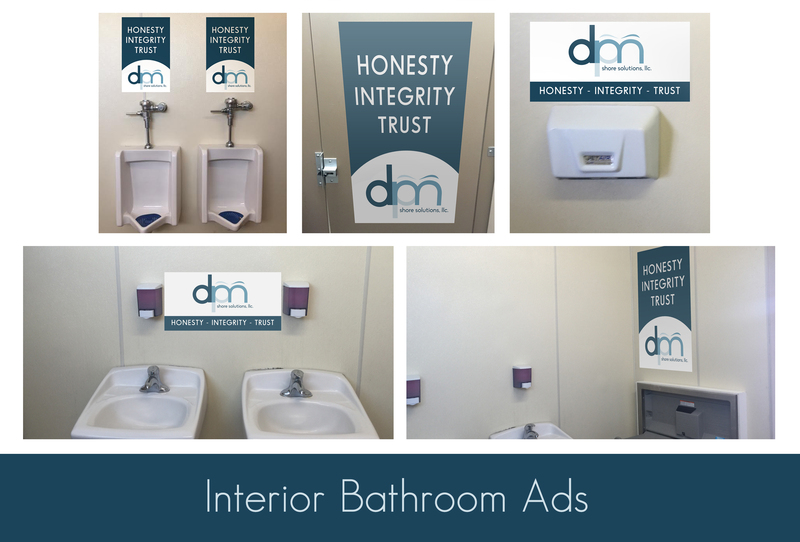 Billboards are an extremely effective way to brand your business or service to potential customers. 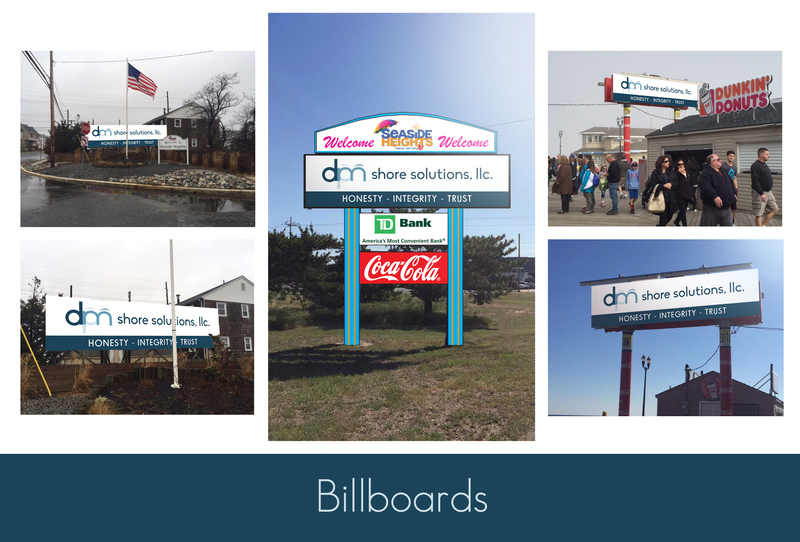 Seaside Heights now has billboards at both entrances to town, as well as two directly on the boardwalk. Click below for more info. 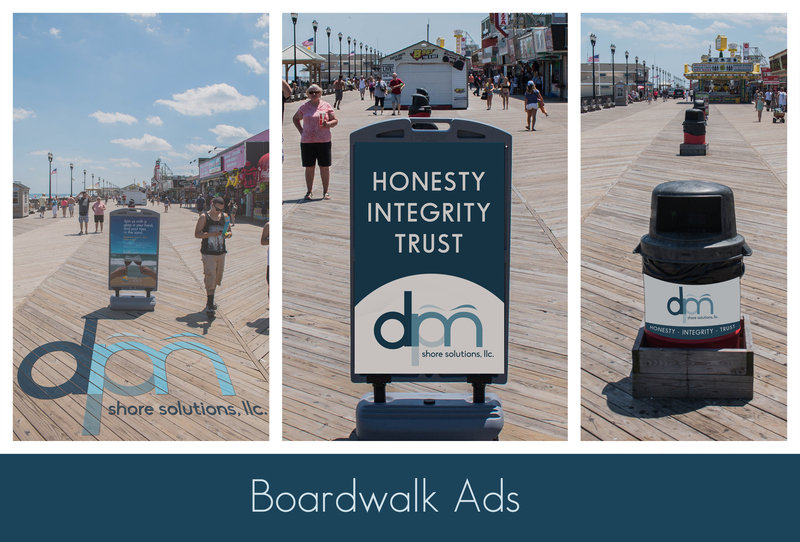 There are many unique and creative ways to brand a message or service on the Seaside Heights Classic American Boardwalk. Reaching visitors as they are enjoying time with family and friends can help to create positive brand affinity to potential customers. Click below for more info. 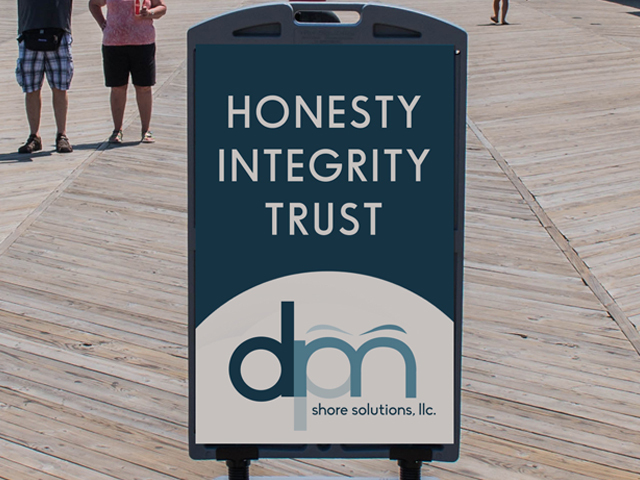 NEW to Seaside Heights for the 2017 Season. 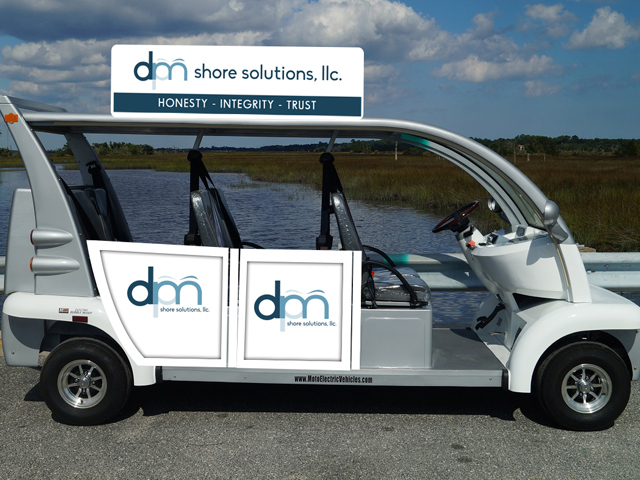 This FREE service is available for one sponsor to brand a message and provide all who ride it with information on your product or service. Click below for more info.